Remains of a school that Boko Haram destroyed. Boko Haram, which translates to “Western education is forbidden”, was originally founded in 2002 in Northern Nigeria with intentions of removing all remnants of British colonialism, primarily through banning western education. What started as a radical, yet seemingly innocent movement, turned into a full-fledge uprising by 2009 when Mohammed Yusuf, the founder, was killed by the Nigerian government and Abubakar Shekau took over. Since 2009, Boko Haram has turned into an Islamist militant terrorist group, focused on turning Nigeria into an Islamic State, and has left over over 3,600 people dead through attacks and bombings. Survivors like Eve and Father Georges Vandenbeusch have recounted their tales numerous times in hopes of gaining support to end the madness of Boko Haram. In their stories, they talk about their fears of constantly living in terror, never knowing when they will be attacked or abducted, and not knowing who to trust because even the local police may be one of “them”. Their tales have reached local and national newspapers, blogs like the Testimonial Archive Project, social news media websites like Buzzfeed, and highly reputable sources like BBC and CNN. However, their voices were not heard for almost five years until Boko Haram abducted almost 300 girls from a secondary school in Northeast Nigeria in April 2014. After this abduction, the Bring Back Our Girls Campaign gained quick popularity with influential leaders like Michelle Obama full-heartedly supporting it. But, apart from generating awareness, what has the campaign actually accomplished? 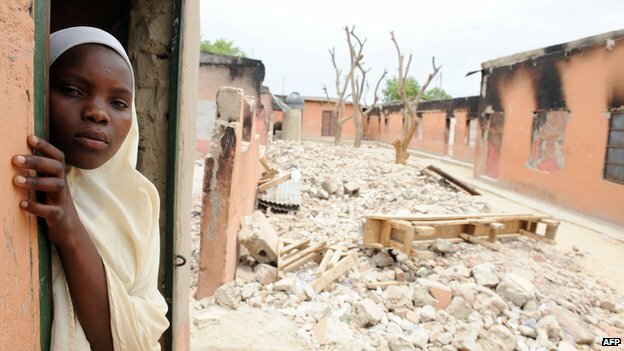 What can international governments and agencies do to actually help the victims of Boko Haram? 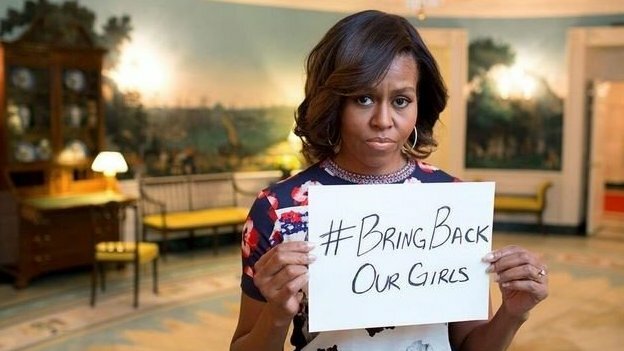 Michelle Obama supporting the Bring Back Our Girls Campaign. The original purpose of Boko Haram was to rid Nigeria of western education that was originally implemented by the British. So, is Boko Haram fully to blame for their desire to move away from a “Western” school of thinking? While I don’t deny their methods are wrong and extreme, their original intentions were to break away from Western conventions and create their own society that they could identify with themselves. Boko Haram is an example of one of the long-lasting effects of colonialism that still exists in our world today. So, how do we rectify the situation? Is the emphasis on “Westernization” in Third World Countries actually unhealthy? Can people put their differences and conflicting political agendas aside to work together to find the best possible solution for these kinds of problems? After all, at the end of the day, it’s not about right and wrong. It’s about understanding our different stories, so that we can tear down the walls that divide us instead of allowing it to drive us apart. Fight against “Westernization” is just a propaganda. They want to reset lifestyle where at least half the population have no rights (women) and extreme interpretation of one religion is imposed on everyone in every aspect of daily life. Basic human rights for individuals and development of human resources are the basic foundations on which lasting institutions of governance need to be built.